Its not the nicest of thoughts, but truthfully all of these brilliant, older, working conservationists aren't going to be here forever, therefore the people that must replace these people the next generations coming through. 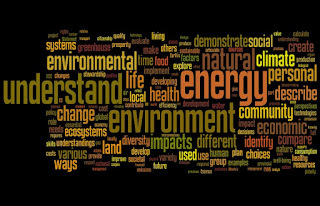 And how are organisations such as the BTO, The Wildlife Trusts, RSPB (to name a few) going to find these people, not just the type of individuals that already have an interest in the environment and want to protect it, but enough supporters and people concerned enough to protect the environment? Well the answer is simple.... Education. A lady called Mary Colwell has started a brilliant e-petition to get develop a GCSE in Natural History. I have signed the petition as I would like to hear the subject debated in parliament and ensure that politicians understand how important this is, however, I do not entirely agree that a GCSE is the best way forward. It is blatantly obvious to me that having environmental education in schools is the best way by far to reach out across the whole of the younger generation and get these people engaged from the point of view that they start forming opinions. 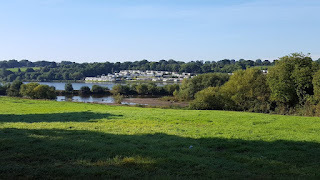 I personally attend The County High School Leftwich, and very few, if any, people in my year apart share the same attitudes to the natural world that I do. The sad conclusion is that not many younger people care, because they don't connect the natural world with everything we take for granted in our material world. They haven't been shown just how much we rely on the natural world for everything we have. Imagine how brilliant it could be if environmental science/natural history was incorporated into all subjects within the curriculum in both Primary and Secondary schools. It could connect the younger generation with the environment and make younger people realise why the environment should be protected. Of course it won't inspire a passion within everyone, but it may well teach a respect for what many people take for granted. Where to start? Well I think its important that environmental aspects are taught from a very young age, so ideally Primary Schools. At this age young people are still forming opinions and it is much easier to engage them before it becomes "uncool" to care and want to protect something. The job of Secondary Education would then be to build on this introduction and reinforce the vital link between our quality of life and the quality/health of the natural world. I know there are many different opinions on how the environment should be squeezed into the curriculum, and some say it can't be done! Why say that though, that is just putting an obstacle in the way of something that quite frankly must be taught. I believe this can happen. Sadly though, I don't think it could happen as a single subject that people could opt for in schools, as this would rely on the people already having an interest in the subject. As a single environmental subject it would not reach out to the people who aren't interested or who have not had an opportunity for whatever reason to engage with the natural world already. These young people are the important target people. 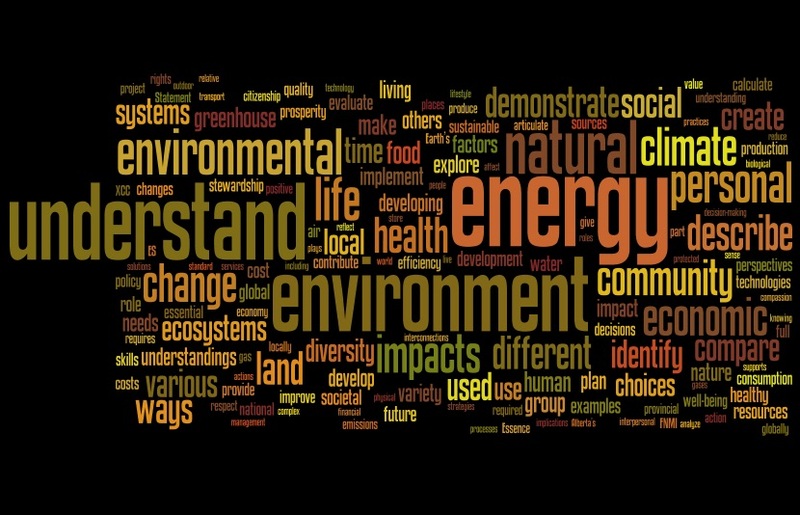 The environment being incorporated across all subjects would reach out to everyone. If it is taught in some way, shape or form, no matter the lesson, young people would form a good understanding of the impacts the human race are having. I know this is a very emotive subject, and that change won't happen quickly, but unless we start trying to change things, then nothing happens, and we don't safeguard the natural world for future generations. Patchwork Challenge (PWC) is a great idea. I took part for the first time last year and have signed up again for 2017. 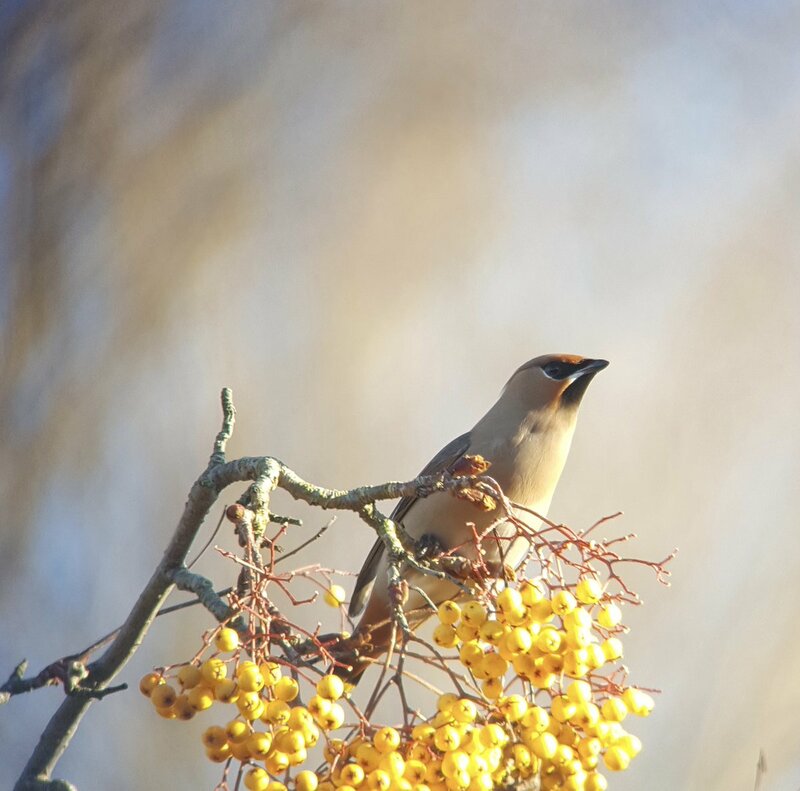 Many people taking part are likely to treat it as a bit of competitive fun that can be taken part in all throughout the year; recording the variety of bird species that vary depending on the season and where your patch is located. I do also like to think of PWC in this way, however there is also so much more to PWC, including all the data that can be recorded and reported as a result of consistently monitoring a set patch. You get to compare the birds appearing each year and the times at which they appear, and also the birds that may be missing. The great beauty about PWC is in the name; patch. 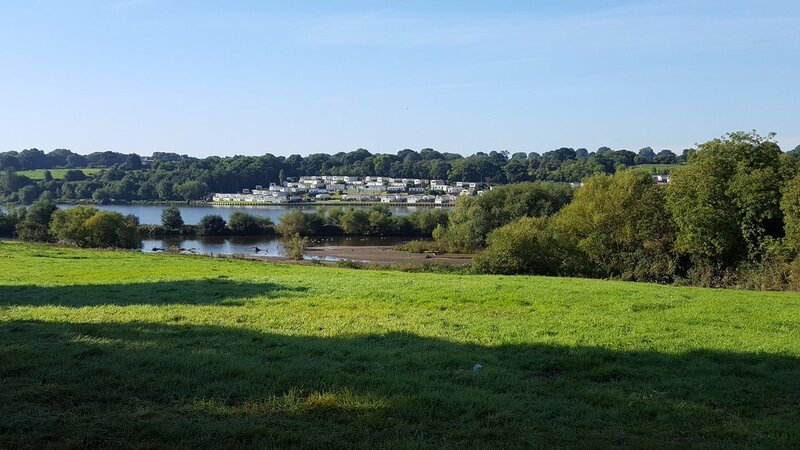 Your patch is a set area of land, water or both that you regularly visit and record the birds that you see and hear, but there is nothing stopping you recording all the other wildlife you see there. This is of great importance, as you learn a lot more about a species and the general habitat if you are regularly visiting/monitoring a set site. 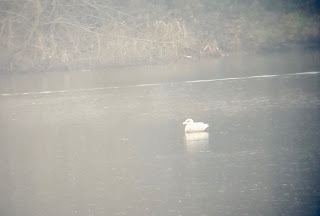 For example, I would never have recorded the Common Terms breeding attempt at Winsford Flash last year if I had not been visiting regularly. 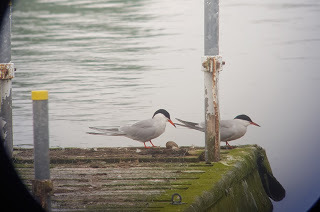 PWC is great because it encourages birders to record and stick to a particular area rather than racing off everywhere in search of new bird species for their life lists; which of course I have no problem with, however more useful data is learnt from regularly visiting a particular site. Now of course, it's all very well recording the birds you see and updating your own personal spreadsheet with the information, however if you don't do anything else with the data then it really means nothing to anyone but you. This brings me onto another great aspect of PWC. The PWC results spreadsheet has a column that asks whether you have filled out a BTO Birdtrack record for the species you have seen. This is great as it encourages birders to send their records to an organisation that wants the data and knows how best to break it down and use it. The more information the BTO receive, the more accurately they can monitor things such as the impacts of climate change on migration. You decide when you will visit you patch and how long you will spend there, so there is never any pressure on you, but the more time you spend there, the more you will see and learn. So why not choose a patch and join in; and of course learn more about a habitat close to you. Register for Patchwork Challenge 2017 here. 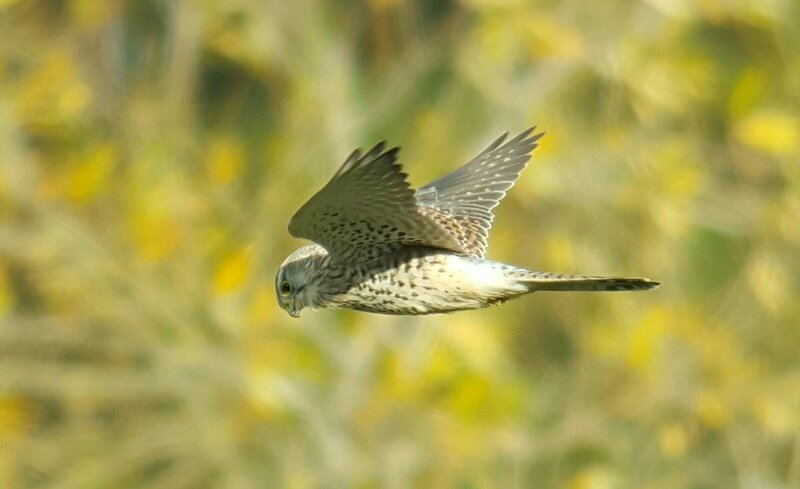 Enter you data into BTO's Birdtrack here. 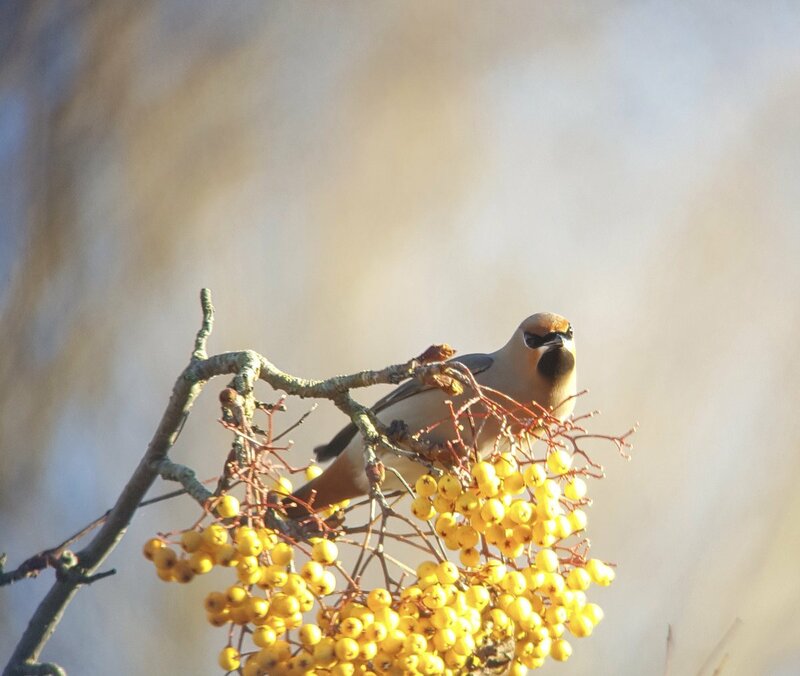 This Winter, the UK has and is being lucky enough to be inundated by large flocks of Waxwings that are heading across the North Sea after a poor crop of berries, their main food source, in the northern forests in places such as Russia and Scandinavia. This year Britain has had a bumper crop of berries therefore it would seem these Starling sized, sandy brown birds are making a wise decision. 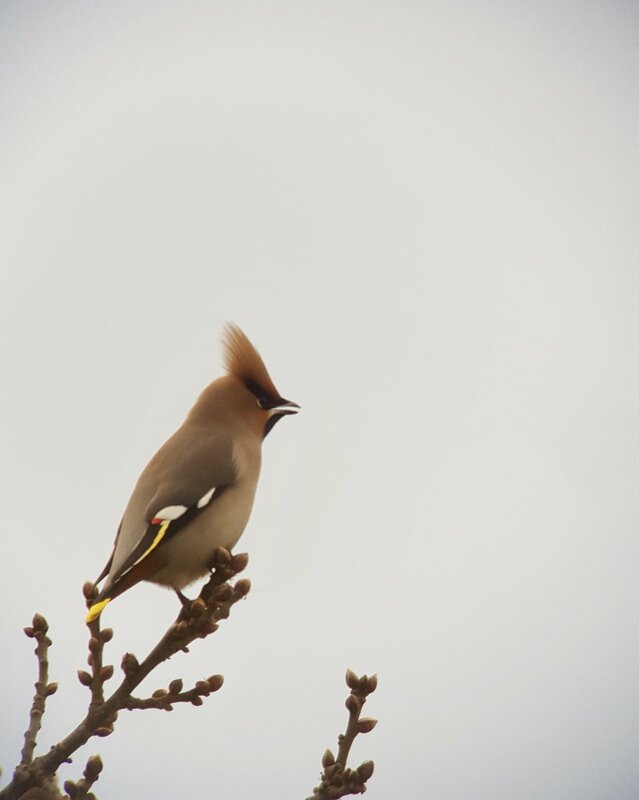 This Winter has been particularly good for seeing these striking avian creatures; however they do visit the UK every Winter in varying numbers, so it's always worth keeping an eye on the berry trees every year just in case. 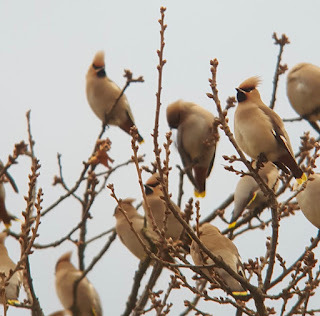 The main bulk of these Waxwing flocks are to the North of the UK in places such as Aberdeen and Carlisle where flocks of up to 200 - 500 have been recorded. 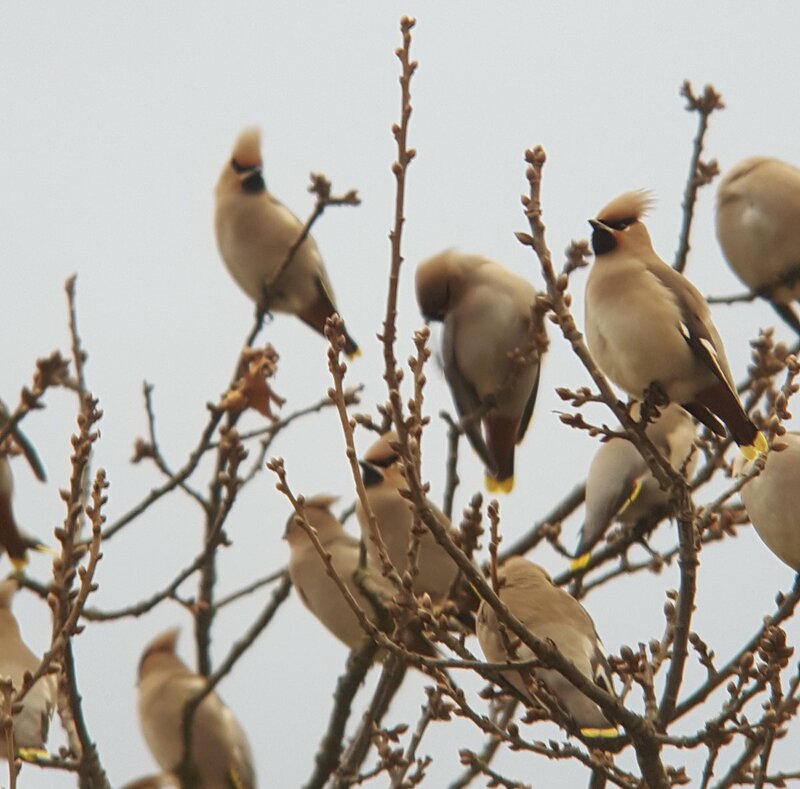 However as the berry crop starts to thin out in these places, the Waxwings are now making their way further south to Northern England and the Midlands with small numbers even further south than this. I have been waiting (impatiently) for Waxwings to turn up in my county of Cheshire, but of course I couldn't wait that long to see them, so on the last day of 2016 I headed off to North Wales to look for a flock of about 60 birds that had been reported at Wrexham Industrial Estate. 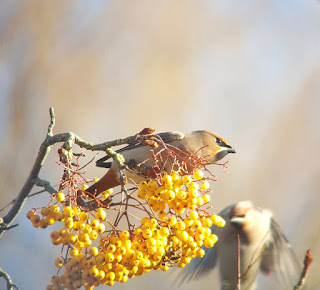 As soon as I arrived, I immediately locked on to the target flock of birds that were perched above a very vibrant Rowan tree absolutely teeming with berries. The adjacent tree of the same species had been completely stripped already. 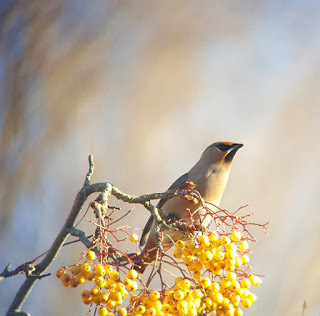 Now it isn't just Waxwings that feed on berries, there are many other species of bird that rely on berries as an important food source such as Redwing, Blackbirds, and Mistle Thrushes, the latter being very territorial as you can hear in this short video taken at Wrexham. 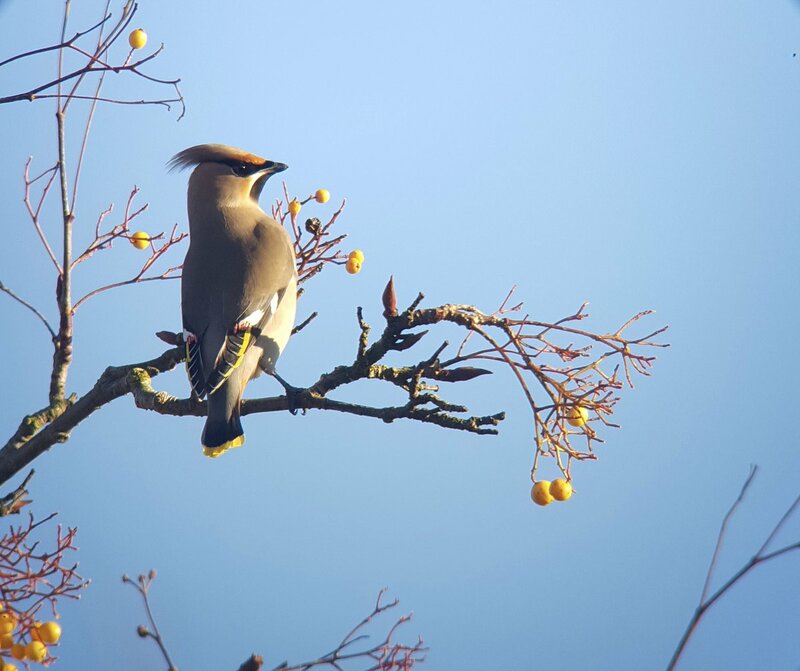 During the first view days of 2017 yet more Waxwings have been reported and this time some turned up in Barnton in Cheshire (just 15 minutes from home). 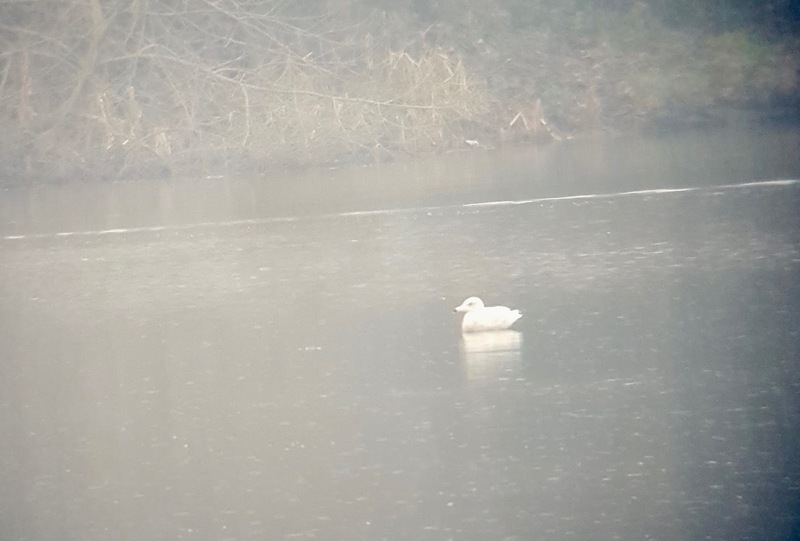 The flock was reported as 20 or so, however on my visit myself and a few other good birding mates counted up to 38 individuals which is quite a large increase in the space of a day. Seeing these birds has been a great end to 2016 and start to 2017 and I'm sure I'll be tempted to look for more as the Winter continues. 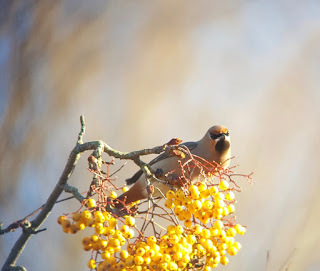 So keep an eye out on your berry bushes/trees, you never know what might turn up!